The 18-hole championship “Severiano Ballesteros” course has a breathtaking panorama extending from the Matterhorn to Mont Blanc. 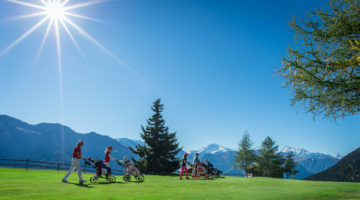 Every year they hold the European Masters on this 4,900-foot high plateau in Crans-Montana. 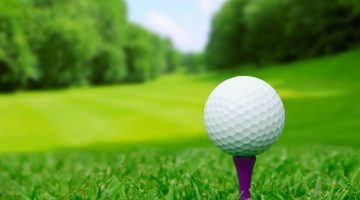 The course is described one of the finest in the world because of the surrounding natural scenery. Don’t miss the opportunity to play an unforgettable game; let the alpine atmosphere of the Severiano Ballesteros course make its own impression on you with relaxation and exciting golf rolled into one. Driving range, specialized bio mechanics -analysis with certified coaches, indoor golf center. Members of ASG clubs or international recognized golf clubs. Handicap 36 or less required.